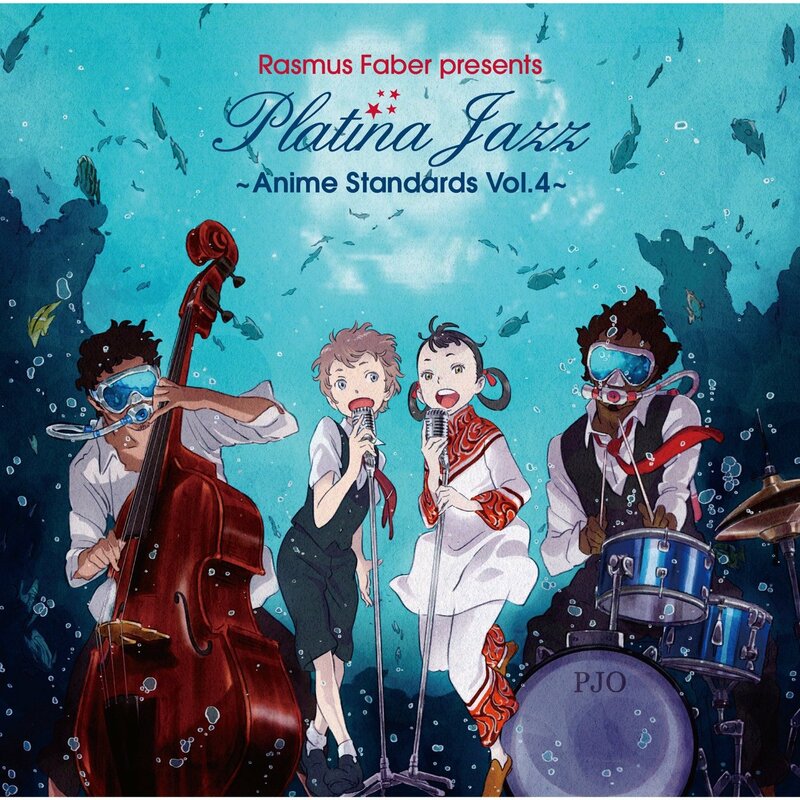 Review: Platina Jazz Volume 4 finds itself in a critical position. Volume 1 was the scrappy underdog success that came out of nowhere. Expectations were low, yet it shattered doubts and proved to be a promising start to something potentially very special. Volume 2, like many sequels to successful first entries, refined the formula further. It proved Volume 1 wasn’t a one hit wonder and featured some stunning adaptations that were at once intellectually challenging and easy to love. The third took listeners on another beautiful journey through sparkling musical landscapes, but the scenery felt unfortunately familiar. Was it good? No question. The third installment did nothing more poorly than its predecessors; it was simply that, for Platina, business done well was also business as usual. What was once novel and curious began to feel played out and tired. The magic was there, but the magicians seemed to be running out of tricks. The series’ problem stems from how it drew from a large, but finite and somewhat homogenous pool of methodic approaches to its material. The tracks were significantly altered in style from their source material, but between themselves began to blend together. In this pursuit of being recognizable but clearly different, Platina almost lost itself. After part three, Platina can’t rest on its laurels. Volume 4 had everything to prove. The first track, Dragonball Z’s “Cha-La Head-Cha-La,” is representative of the issues I think this album intends to fix. It’s nicely realized in its transition from a power rock burner to a toe-tapping swing number, but its arrangement feels undercooked and repetitive. It’s a wonderful, lengthy trumpet solo sandwiched between two sections of the band moving like a giant musical amoeba, oozing in thick extended harmony into each chord with melodies ornamented awkwardly on top as if they don’t quite belong. It’s clever at heart, but fails to fully leverage its strengths. Platina veteran Emily McEwan returns for Yawara’s “Miracle Girl,” a laid-back swing tune wrought from what’s best described as late 80’s power pop. I absolutely love the interplay and flourishes between the two keyboards throughout the tune; a spot-on display of tasteful accompaniment. The biggest issue with this number is probably the best part of it: the vocals. A fan might call McEwan’s style utterly authentic, a detractor might deem it old-fashioned. Her every word and inflection seem so carefully planned and meticulously practiced to sound a certain way that, though she sounds quite energetic and emotional in this outing, she sounds almost programmed to do so. Her every utterance carries such a warm, round, perfectly-shaped and packaged presence as to have almost no impact at all. Nevertheless, her vocals couldn’t be a more perfect match for the piece. In another twist, Sara Jangfeldt’s singing in “Lum no Lovesong” is a great contrast to McEwan. The tune is a charming rendition of what the original would sound like coming out of the rusty radio of a Mexican bayside cantina — excitable radio announcer and all. Jangfeldt twists and churns her vocals just the right way, adding a much-needed ragged edge to counter Emily McEwan’s buttered-ball-of-whipped-cream of a voice. A terrifically bonkers flute solo is also featured, punctuated by a crispy instrumental section. A delight all around. “Moonlight” is not just the best song on this disc, nor is it only the best song Platina has ever featured. This version of Sailor Moon’s OP now ranks among my favorite songs of all time. It’s difficult to describe; basically, it’s the famous OP you already know reimagined as sinister vaudevillian flamenco. This version has a certain x-factor that’s difficult to verbalize but impossible to miss. Somewhere between the bittersweet, wistful lyrics, the smoky, rustic instrumentals, and Douglas Unger’s passionate baritone crackle lies wizardry untapped since Platina Jazz Volume 1. This song is all the novelty, the curiosity, and the gripping surprise of that first installment rolled into 226 breathtaking seconds. It’s everything I like about what Platina Jazz does, just turned to 11. The downside is that the rest of the disc feels almost characterless in comparison, perhaps too literal and thinly spread. I admit I’m in flabbergasted awe that arranger Karl Frid somehow made K-On!’s abysmal “Go Go Maniac” listenable – enjoyable, even. Having the tune suddenly devolve into a musty ragtime is a clever and unexpected deconstruction of the original tune, but did Frid have to pull the same trick again just three tracks later with Nichijou’s “Katakata Katamoi?” Taken individually, the tracks are delightful, if somewhat repetitive; it’s just that too-similar approaches were taken with the arrangement. I had taken some issue with Platina mainstay Martin Persson’s piano work previously, but consider such issues resolved here. Persson’s keys are impeccable in this outing, and he turns in some of his best soloing on Platina thus far in this installment, namely in “Tsuki no Mayu.” It’s a beautiful tune, with stellar arrangement work matched by excellent soloing. I said this volume had a lot to prove, but I think we all know that Platina Jazz needn’t make any excuses. It was in a class of one, still is, and remains so for the foreseeable future. Part 4 rectifies much of what I felt was stagnating in Round 3, and delivers a gut-busting sucker punch in “Moonlight Densetsu.” It’s by no means perfect, but it offers a better mix of arrangements and solos and recaptures some of that unpredictable, spine-tingling novelty of Volume 1 that had me floored four years ago. Volume 3 was Excellent despite its weaknesses. Volume 4 comes as close to our site’s highest honor of Masterpiece as any Platina installment so far, but we wouldn’t want to put too much pressure on Volume 5, right? Great write up and echoes some of the sentiments I have of this album. Wondering if it’s the expectations I have for this one after the previous brilliance of Vol 1 to 3, but there’s that hint of ‘more of the same’ vs ‘why did they have to do that’ in the list. Moonlight Densetsu was indeed the show-stopper and loved the intensity in Tsuki no Mayu. Had it on repeat for a while. And I strangely adored Go Go Maniac for some odd, toe-tapping reason. Anyway, a really great album review! I want 5 now. It’s actually Platina veteran Niklas Gabrielsson’s vocals on that one. I’m not exactly a pro at Italian, so I couldn’t tell if his accent was authentic or not, but it’s interesting to know that it is. He did “Galaxy Express 999” and “Love Theme,” among others, on previous volumes. His English is also excellent.